I was born in the gorgeous city of Rome where I graduated from college in Languages and Foreign Cultures. In 2008, love brought me to the United Kingdom where I taught Italian for many years and loved every minute of it. Three years later my first daughter came along and with her I developed a great interest in bilingualism. I had always known that I would raise my children to be bilingual. I was raised bilingual myself as was my mother, whose parents migrated from Italy to South Africa in the Seventies. When you have the privilege of being part of three generations of bilinguals you inevitably start noticing you have things in common. Some of these are the fun aspects of being bilingual like the constant code switching used while telling a very important story. You cannot waste precious time looking for the right words, so you pick the first words that come to your head regardless of language. Or the “secret language” that you share with your parent, often used to gossip about people standing next to you assuming they don’t understand (and sometimes your assumption is wrong!). Other common aspects are less amusing, though – like the feeling of awkwardness for being different, especially as a child. I realised this when my daughter was around three years old. I detected some hesitation in speaking the minority language and could see the same in the older bilingual children of friends. It shouldn’t come as a surprise that children don’t want to be different. They want to wear the same clothes as their friends, they want to watch the same shows as their friends and, most of all, they want to speak the same language. In addition, I learned that very early on children develop awareness of what language they should invest energy in learning. In other words, they don’t see any reason why they should “waste” time learning a language that, as far as they are concerned, only the grandmother they see every so often on Skype speaks. 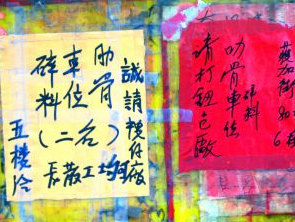 Suddenly I started seeing a pattern in my daughter’s reluctance with my own experience as a child and the stories that my mother used to tell me: I realised that we used to perceive bilingualism as a burden rather than a privilege. 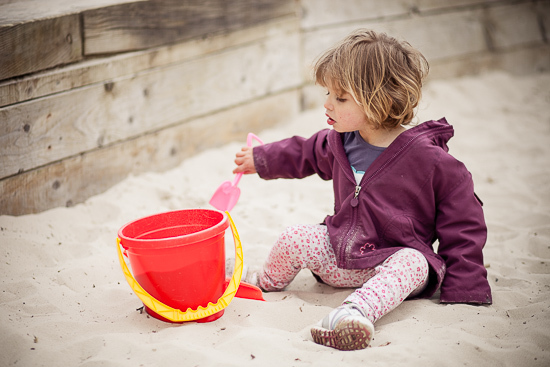 Children are often unaware of the benefits speaking two languages can bring and by the time they realise they have probably wasted precious years when their brain would have been very receptive to the languages. This thought made me feel quite sad. Something needed to be done! And this was the inspiration for my book. 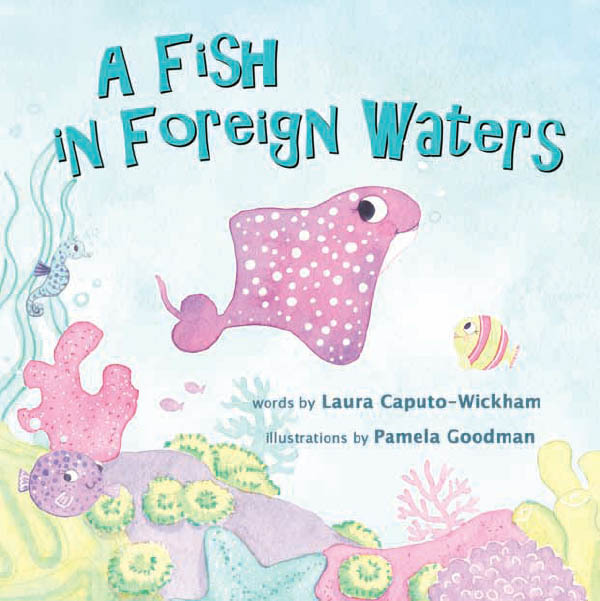 A Fish in Foreign Waters is the story of Rosie Ray, a fish whose world gets thrown upside down when she has to move to a different bay. She will have to learn a new language, make new friends and face some of the challenges that bilingual children often face – like being embarrassed by their parent’s accent or the different food in their lunchboxes. But on the day of her birthday she will make an exciting discovery that will help her see how much she has actually gained from being able to speak two languages. 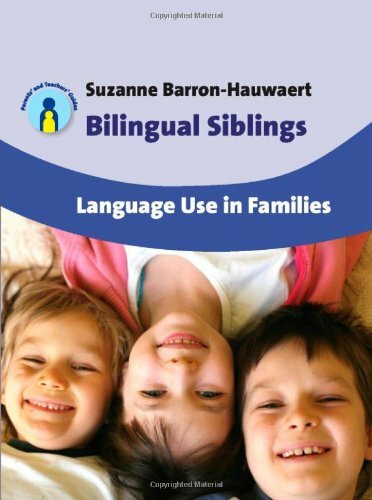 My hope is that this book can be a helpful tool in getting our children excited about being bilingual and help, in some way, to lighten the burden of all the parents out there who are doing so much to help them through this challenging yet beautiful journey. What if your child refuses to speak the minority language? What if your kid suddenly turned around and said that he doesn’t want to speak your language? What would you do? Would you feel disappointed, shame, a feeling of failure? This is a very normal, a fresh challenge and a new side of bilingualism, which is totally normal, and quite common for many bilingual families. As we mature and gain experience our view of the world changes. 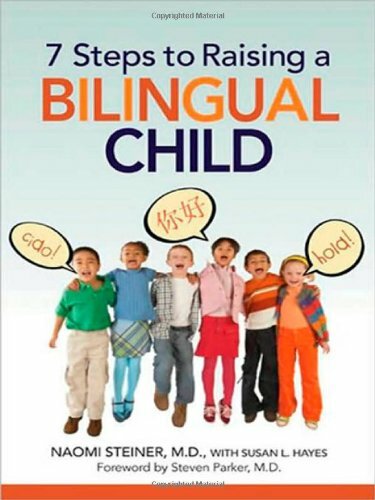 Once you begin raising a bilingual child, you will change too. When I was a student I thought bilingual children always spoke perfectly in two languages, with spotless vocabulary and genuine accent. Nothing could be further from the truth. With time and experience, I have realised that individual children are different, their circumstances are different, and I have seen many children with good command of two languages but with “thick” foreign accents in their minority language. So don´t assume a bilingual child will necessarily speak with a flawless accent. Likewise, I no longer assume that bilingual children will all switch on and off the minority language when you want… they’re not robots after all. I feel lucky that my 4 year old has taken to speaking Spanish like a duck to water, and although she’s not unique, she’s not representative of all bilingual kids either. I know a few bilingual kids who speak their minority language, albeit using a restrictive code, limited vocabulary, mixed grammar, and strong accents, All of these are normal. It really depends on the child and the circumstances. There are children who simply refuse to speak the minority language. The reasons may be very different. They are also on the normal spectrum, there is nothing strange or weird about it, there is not reason to feel guilty either, you just need to take it a step at a time. If you’re reading this, I imagine you’re interested in raising your children bilingually and overcoming these challenges. So, let’s look at a few tips and ideas that may help your child. 1. First of all, don’t give up. I know quite a few frustrated adults who complained about their parents listening to them when they were young and asked them to stop talking to them in “that foreign language”. They now deeply regret not being able to communicate with their families in “that language”. However, I haven’t met yet any individual that complains about being able to speak two languages. 2. Is the environment hostile to your language and the national identity you represent? Do you think your child may be picking up on that hostility and he just wants to fit in? Be positive and think about the things that you could do to help him feel more at ease with the language. Don’t think about what you or he can’t do, but what is possible: find other families with the same language, celebrate fun festivals, read interesting story books with them, watch TV programmes he may like, use hobbies to channel the language, etc. 3. Is she finding school difficult? Does she have problems with Literacy in school? Sometimes well meaning but misinformed professionals think that the reason a child has problems with school subjects is because the influence the second language is having. In that case, you can address his problems in school, and help her with it. 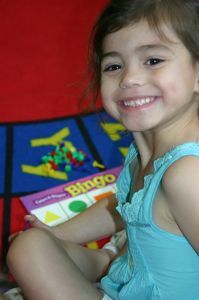 Developing Literacy and language in the home language can also help him with his first language. 4. Is he just going through a phase like the terrible 2s? It may be that he wants to assert his identity making his own decisions, and saying no to something that it´s obviously important to you may be one way of doing it… just keep using the language! Toddlers and young children love saying ‘no’ to everything. 5. Ultimately, the reasons why a child may not want to speak the minority language are as many as children there are in the world. So, just be patient and try to find out if there is a reason, so you can deal with it. Remember, that it´s really never too late to learn a foreign language, but it´s also true that it´s easier when one is younger. So, keep at it!